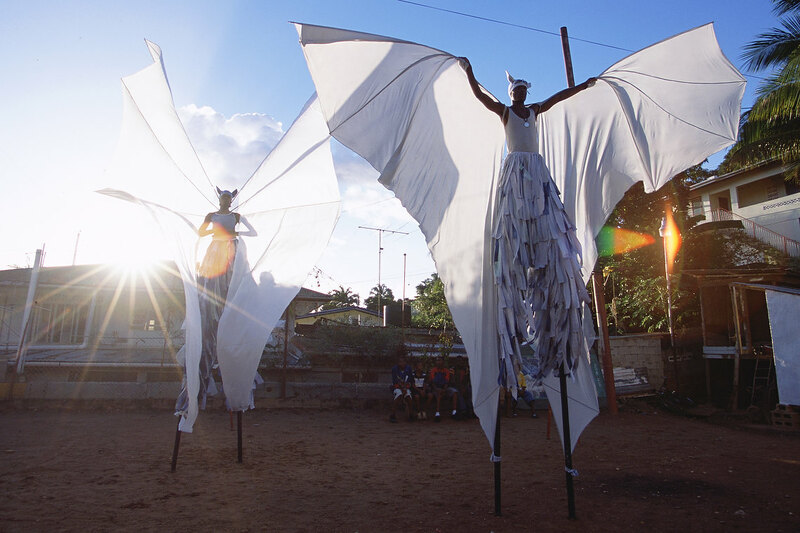 The Keylemanjahro School of Arts and Culture, a stilt walking school in Trinidad, West Indies, teaches children the art of dancing on stilt, fire blowing and body painting. They show their talents during the annual Carnival parades or at other colorful events. They call themselves Moko Jumbies.\nThe book 'MOKO JUMBIES: The Dancing Spirits of Trinidad' was published by Pointed Leaf Press, New York.